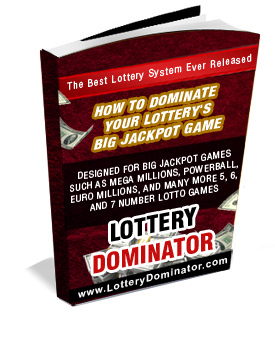 How this software can assist you when playing the Lotto or Powerball. 1. By indicating when you have very little chance of winning anything, let alone a lottery. An analysis of many dozens of lucky days shows that most wins occur under favorable planetary transits, when there are no adverse transits from Mercury, Venus and Mars, and sometimes the Sun and Saturn. This knowledge alone can save you a lot of money if you simply do not gamble at these times. The size of the win or 'pay-out' depends on the strengths of your transits at that time, as well as your progressions and, naturally, your birth-chart aspects. Most of your wins will be indicated by good transit activity, which is analysed in this software. For non-Astrologers, this might be hard to believe, but if you use it to look back on fortunate dates in your past, you will see that this is true. By the same token, it can offer you a valuable "torch in the darkness" when looking to cash-in on fortunate dates in your future. Very big lottery payouts will always show in the progressions and transits of the winner. Although you may never win one of these, it might be helpful to know that, if you do, it will most likely be indicated by this program, in addition to many of your smaller wins. A small tip: When I asked someone who predicted 4 sports-score sweepstakes in the space of a few years what his secret was, he said "Because the target is moving, you must stand still. You must not move at the same time. Wait for the target to come to you. You must take the same set of numbers each week." Logically, that is probably the best way to approach a lottery. I always like to play when I have a buildup of good transits or a good, clear beak shape. Just in case. Another tip: In addition to good Venus transits to all of your natal planets, be aware of Jupiter transits to your natal Uranus in particular (and of course, Uranus transits to your natal Jupiter). This is old news to astrologers, but something you should follow. Good aspects from Jupiter to Uranus are well known for bringing sudden lucky events as well as good wins on things like the lotto. They don't all work, but your chances of winning increases significantly at these times. An example of this happened to me on Wednesday, August 6, 2003. I noticed Jupiter would be exactly conjunct my natal Uranus at 25Leo32 at the time of the lotto draw. To test it out, I took a single 4-line quick pick ticket for R10 (about $1.50) and got 4 numbers correct plus the bonus number, which paid R1200. I have won bigger amounts before on bigger tickets, but this has been my best lotto win to date in terms of the proportion of the amount spent to the amount won. Interestingly it occurred on a day that I played the smallest amount possible. Also worth mentioning is that Jupiter is not very well aspected in my birthchart. This could definitely have been the date of a good lotto win if Jupiter (or possibly Uranus) had been better aspected in my natal chart. The #1 Google site since 2001 for 'lucky days'!